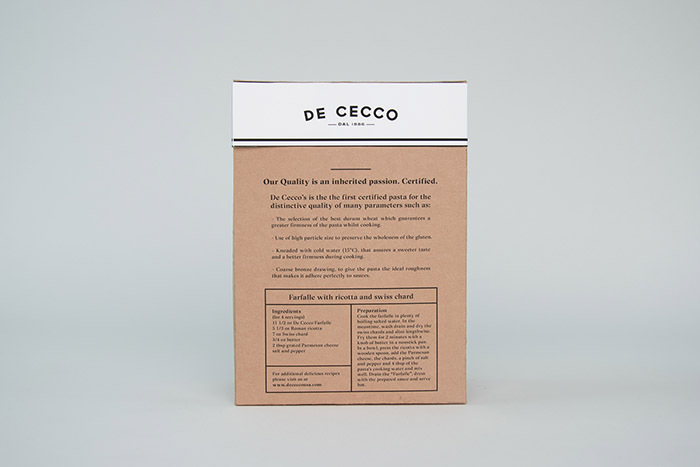 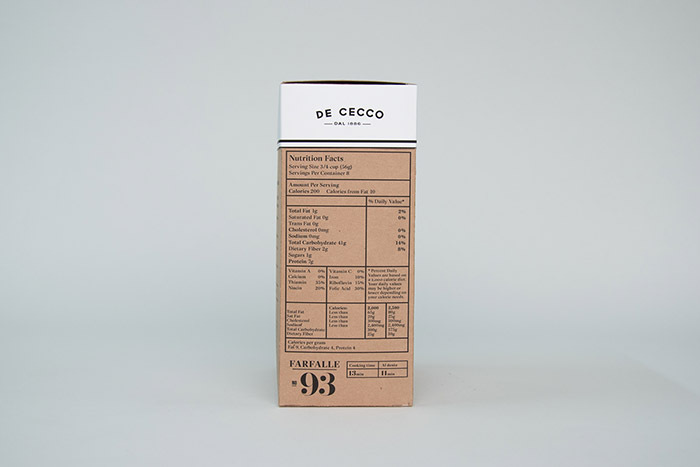 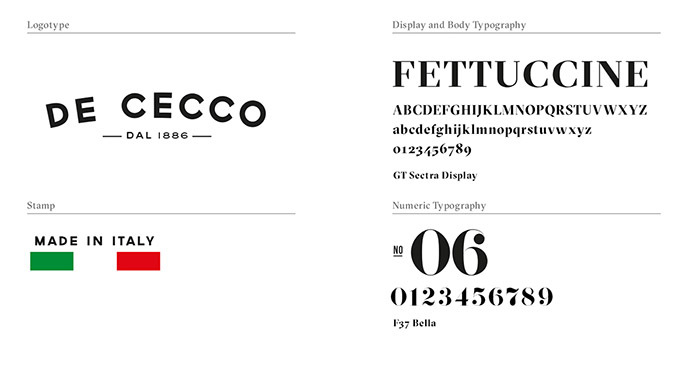 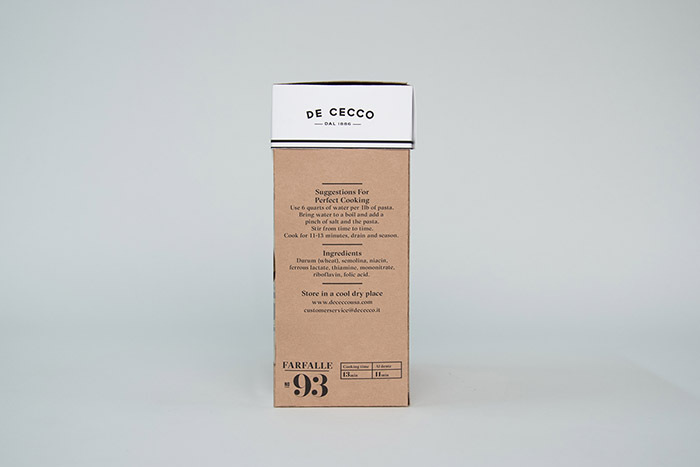 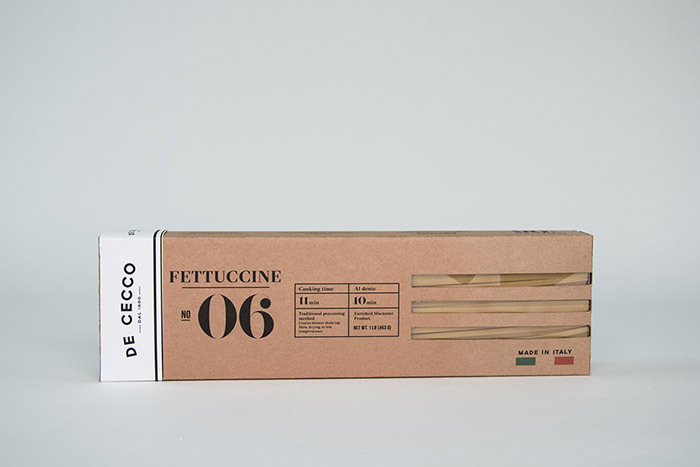 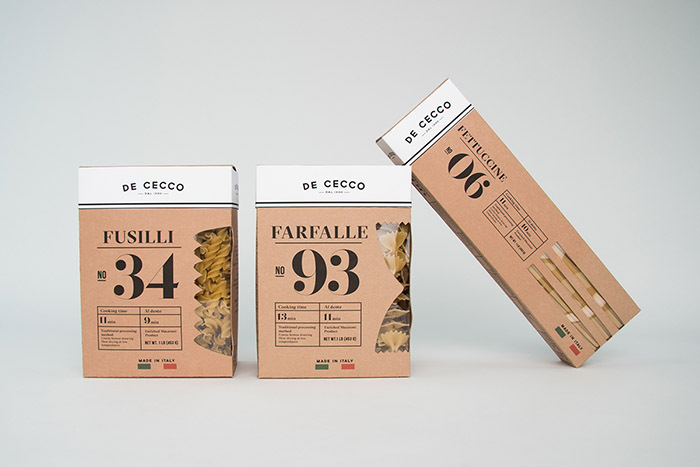 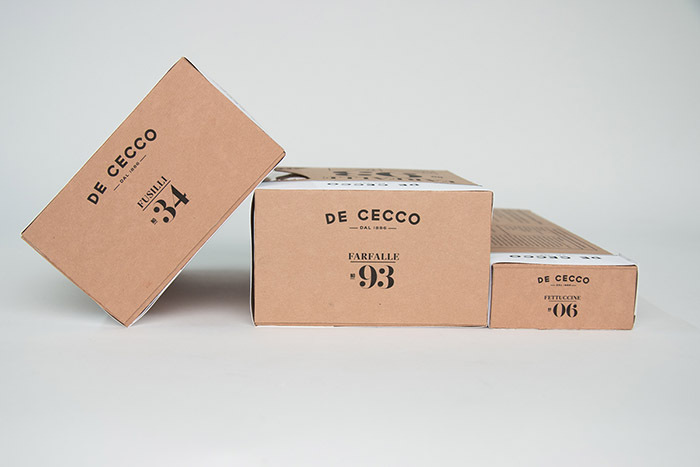 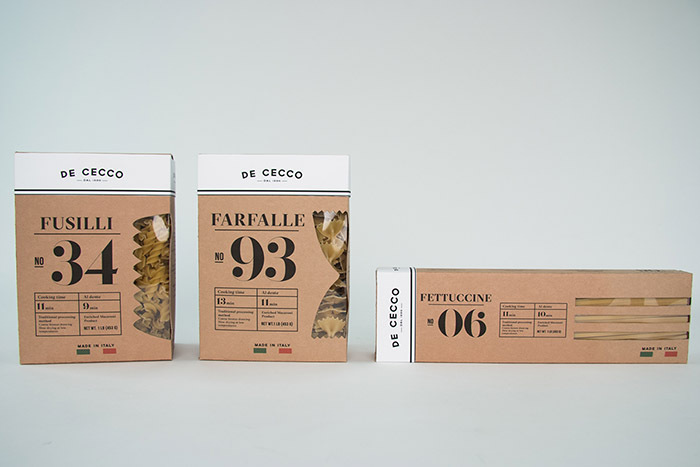 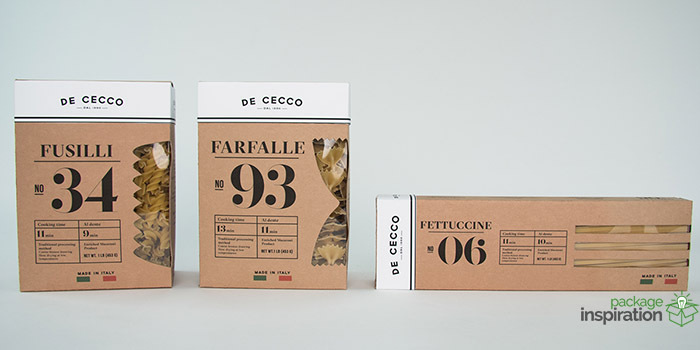 Packaging and rebranding for De Cecco pasta. 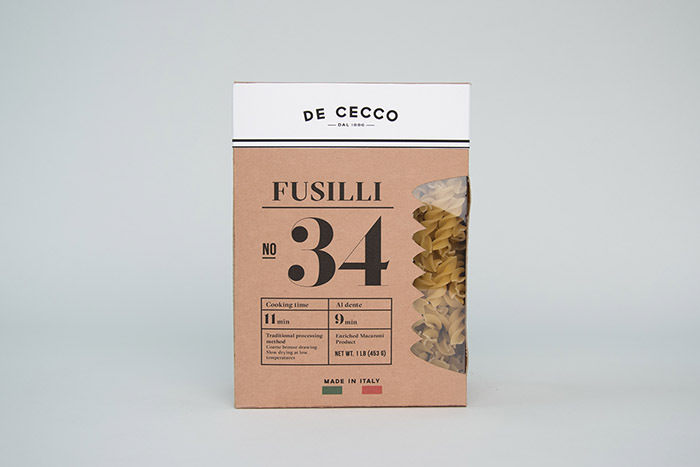 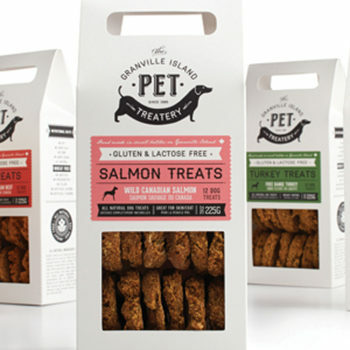 My goal was to give the packaging a traditional, rustic Italian, vintage look yet combine this with modern cutouts representing the shape of the specific pasta. 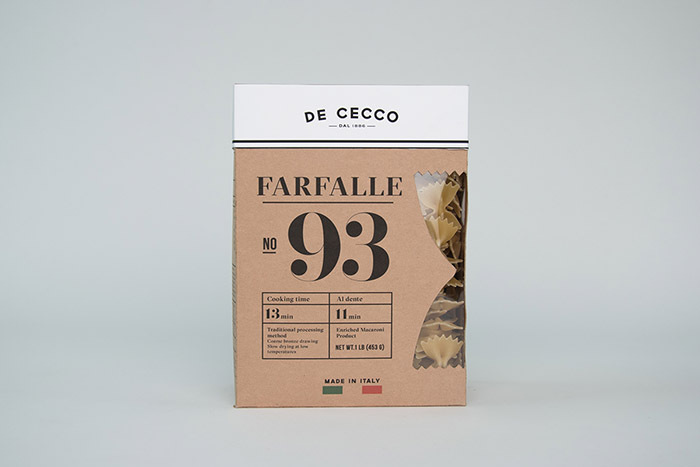 The bold typography mixed with the monotony in colors and the feeling of the craft paper makes it stand out on the pasta shelf next to other brands. 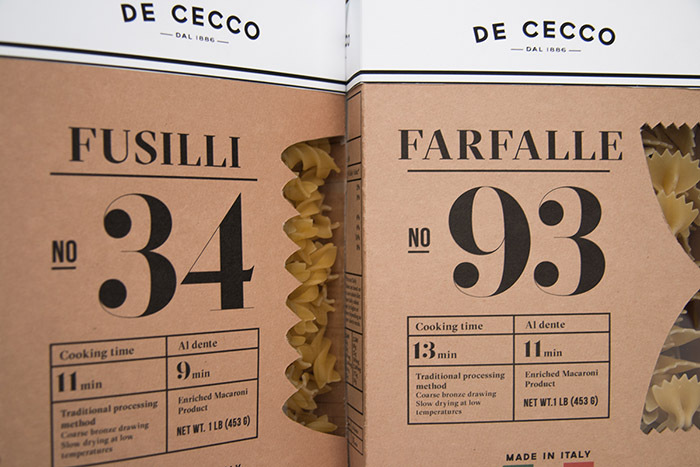 This is a School of Visual Arts project, issued by Louise Fili. 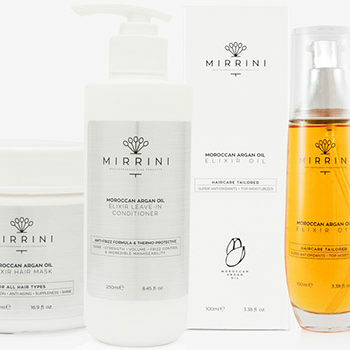 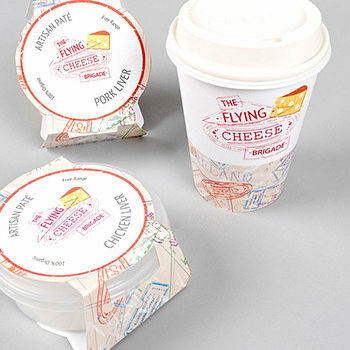 Designed by: Anna Ahnborg, Sweden.